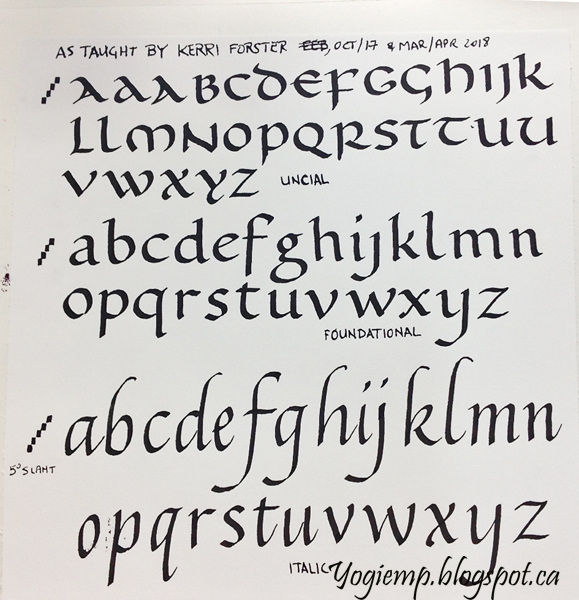 Calligraphy Artwork "Italic with Kerri Forster"
The calligraphed pieces below are things I did during these classes. done with a 2.4mm Parallel pen filled with diluted Sumi ink. I was playing in class... 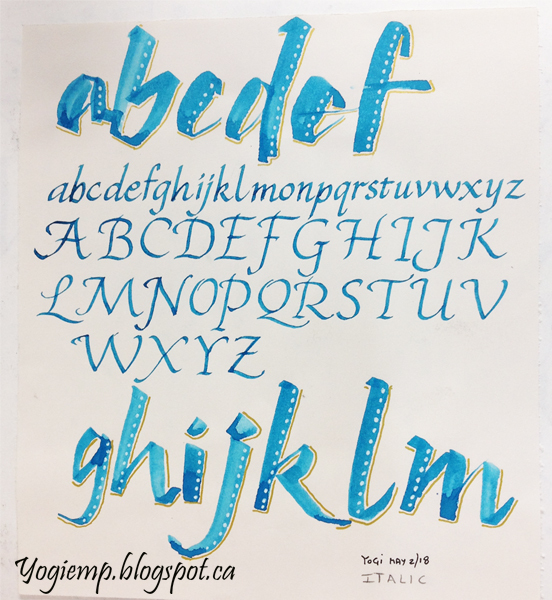 I used a ruling pen and Ecoline Turquoise ink for the large letters. Filled a 1.5mm Parallel pen with the Turquoise and did the exemplar. Shadowed the large letters with a gold gel pen and added white gel pen dots. 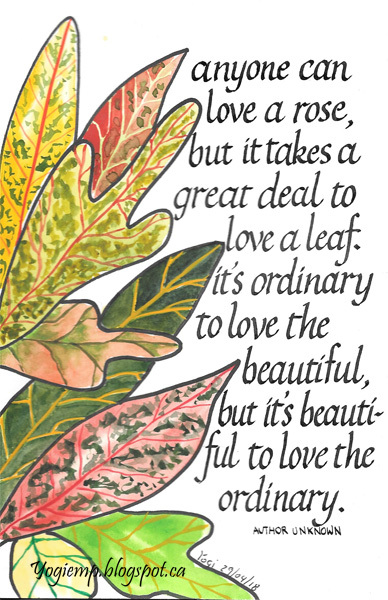 I'm playing with my watercolors a lot more lately... this time creating the croton leaves on 110# Canson Biggie watercolor paper. They are so colorful. The text with a 1.5 Parallel Pen and the Sumi ink.